Discovery of the elegant Chateau de Villandry and its unique gardens. 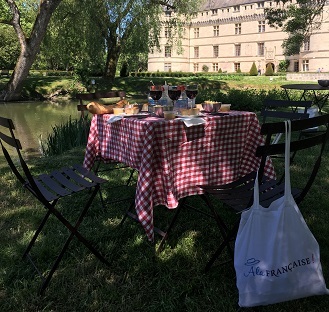 Visit of an intimate family-owned Chateau with local picnic lunch in outstanding surroundings. 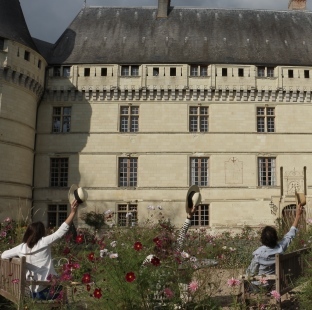 Enjoy a complete discovery of Loire Valley with the visit of must-see Château de Villandry and its remarkable gardens. Benefit from your guide's trilling historical anecdotes and feel part of these old days. 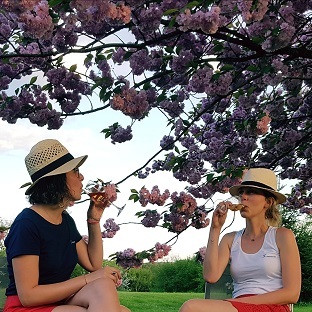 Then, learn everything about Loire Valley wines by visiting two wine estates of the Vouvray Appellation, well-known for its sparkling and white wines. 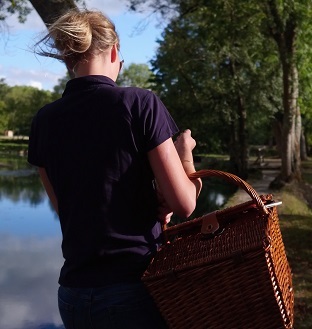 For lunch, live a French Art de Vivre experience away from the crowds with a restful picnic break in an intimate family owned château where the owners still live today! A fun adventure you will always remember! 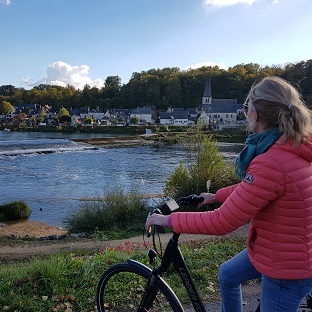 9.00 am: Departure from Amboise, meet your friendly guide in front of the Tourist office in Amboise and get on our minivan! 9.30 am: Departure from Tours, the guide comes to pick-you up in front of the Tourist Office in Tours. We will start our visit at stunning Château de Villandry, a Renaissance jewel ranking high in French heritage. During the tour, you will time-travel from Renaissance to life in France back in the 18th century. Our tour-leader will guide you through all the rooms of the chateau, with plenty of thrilling anecdotes and just one mission: make your day a fun adventure that you will always remember! One of the highlights of your day will be the exploration of Villandry gorgeous formal gardens, a beautiful and delicately-manicured landscape masterpiece. Our local expert will share all his knowledge of this garden à la française, and will show you hidden corners from where you will get the best views of this remarquable site. The ornamental kitchen garden, the love garden, the Maze, the classical water garden...Don't miss any detail! En route for the next stop! After a short drive, enjoy the amazing sight unfolding in front of you and discover Château de L’Islette, a private château still inhabited by the French family who inherited this historical monument. 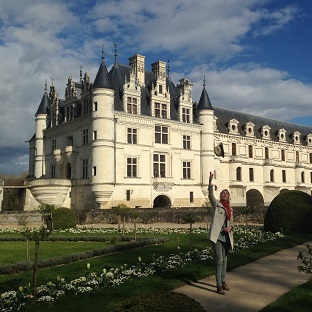 Situated in the heart of Touraine and neighbour of Château d'Azay-le-Rideau, this Renaissance castle is built as an island on the River Indre. Once inside, be prepared for a very unusual visit, as your guide will take you to all the rooms of the house, including the most intimate ones like the parent's bedroom, the kids’ corner, the family kitchen and even the bathrooms! If you are lucky, you may even get the chance to meet our charming French hosts and chat about their daily life in a 21st century Château! A real genuine experience! After the visit, your guide who will set up for you a lovely picnic lunch, near the bank of the river, in the park of the chateau (or inside the water mill in case of bad weather). Enjoy a Loire wine, perfectly matching a selection of tasty local products... An amazing experience in outstanding surroundings you will never forget! Cheers! After this friendly and restful moment you're off to Vouvray! 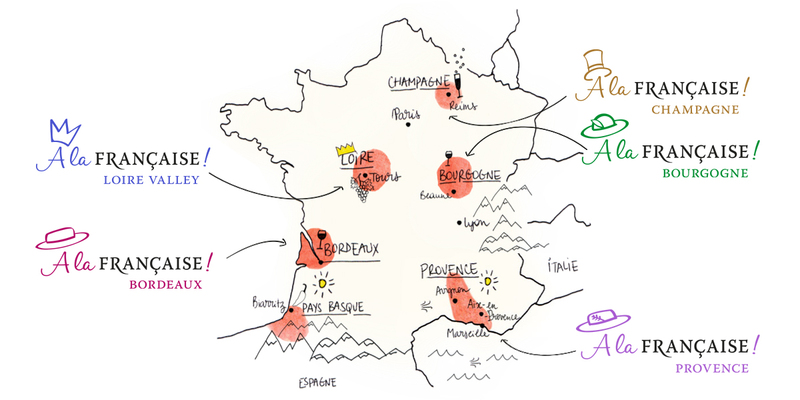 Discover this beautiful wine area full of passion-driven winegrowers! Meet a genuine French winemaker in a charming family-run estate! Visit the traditional vat room (bring your coat, it is freezing in the vat room ;). During this visit, you will improve your knowledge regarding wine-making and of course wine-tasting! The terroir of this wine area and its main grape variety of Chenin blanc allows the production of elegant white wines, dry, sweet or sparkling! All along the afternoon, your will get to know and understand better the diversity of Loire wines. « Intense color, fruity aromas, palate full of minerals… » Oops!! What is this all about?! Your guide will help you to learn the different steps of wine-tasting and train your nose to identify many wine aromas. Benefit from our tips and tricks and taste like a pro! After this first visit, explore one of the famous underground caves that were dug at the 10th century in order to extract the famous tuffeau stone, used to build all the Loire castles. Needless to say, that these long galleries are ideal to store wine today... Discover all the secrets of elaboration of the wines from this ancient historical house, still using the "méthode traditionnelle". Before saying goodbye, share an aperitif à la française made of local products like cheese, rillettes and fresh bread, paired with a local wine! 6.30 pm: Back to the Tourist Office in Tours.